A 27-second video showing the groaning husky was uploaded online by Alex Bulmer last Monday. It starts with the dog whining as another brown puppy jumps up on a sofa in front of him. Admit it, we’ve all wished our dogs could talk to us so as we could have the chats and what not! 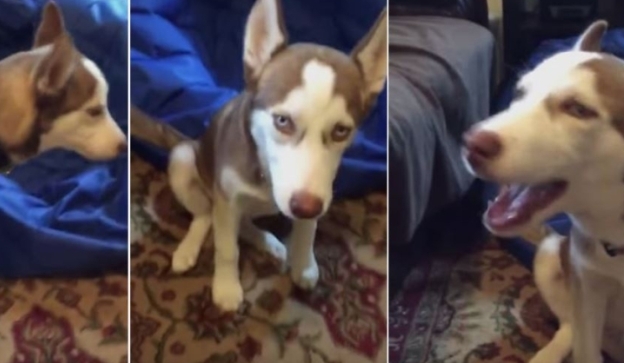 Responses to "'I want my mommy': Hilarious moment that Simba the husky appears to Speak"